Not-for-profit boards have an important role in reviewing and approving the financial reports of the organization. In order to effectively evaluate the organization’s activities, plan for the future, and make decisions, financial reports are almost always on the agenda at board meetings. In the myriad of budgets and other reports handed out during a board meeting, understanding the information provided to you as a board member can be a daunting task. Many board members do not have significant accounting experience and others may have more experience in for-profit accounting, which has many differences compared to nonprofit accounting, especially in financial reporting. There are a variety of reports that may be presented to boards and it is important to understand the differences and how they are used. Common reports provided to board members include: budgets, financial projections, internally prepared financial statements, externally audited financial statements, IRS Form 990, and other dashboard type reports that include key indicators tracked by the organization. While we will not go in-depth into each of the different types of financial reports, here are some key things for board members to understand about financial reports. Otherwise known as the “Balance Sheet” in the for-profit world, the statement of financial position is a representation of the organization’s Assets, Liabilities, and Net Assets at a particular point in time. Board members should compare balances on the statement of financial position to that of the prior period and look for trends or significant changes. Based on your knowledge of the activities and programs of the organization, look for areas that connect to those expectations as well as areas that do not connect, and ask follow up questions about items that don’t line up. Another important item for board members to consider is the organization’s liquidity. How able does the organization appear to pay its immediate and upcoming obligations? Commonly referred to as the “Income Statement”, the statement of activities shows the organization’s Revenue, Expenses, and Changes in Net Assets. Similar to the review of the statement of financial position, compare amounts to previous periods and identify trends and significant variances. Consider the different sources of revenue and if the organization relies too heavily on a single or too few sources, and the potential risks of losing that revenue source. Another area to evaluate are contributions with donor restrictions; these are reported differently. It is important that donors communicate in writing any restrictions about the purpose of the contribution and that the accounting department is made aware of those restrictions. Additionally, contributions are included in the financial statements when a donor has made a promise to give (sometimes called a “pledge”), not when the cash is received. Are you aware of the new accounting pronouncements that could affect your Organization’s financial statements? A typical response can be, “No, that’s why we have an audit”. The financial statements are actually the responsibility of the Organization, and that means keeping up-to-date on changes to the accounting and reporting requirements. It may seem overwhelming; however, spending a few minutes every quarter to review a couple authoritative accounting resources will keep you ahead of the curve. Accounting Standards Codification (ASCs) are essentially an all-inclusive set of rules that encompass all Generally Accepted Accounting Principles. A great way to stay up-to-date is to monitor the updates at: Financial Accounting Standards website list of Accounting Standards Updates. As a Board member you don’t need to understand or implement these standards, all you have to do is start with…asking management if they have a grasp on changes ahead! 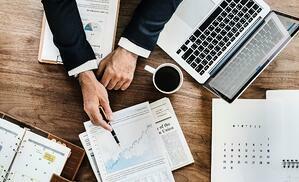 It’s great to understand your organization’s financial statements and reports as well as staying on top of recent accounting standard updates, but if management is not properly closing out the accounting records on a monthly basis it greatly diminishes the usefulness of financial information presented to the Board. In order for an accounting function to effectively meet financial reporting objectives on a timely basis, it is highly recommended that certain accounting procedures are performed on a monthly basis. Often times Organizations develop a monthly checklist, listing the month-end close procedures, the date performed and the employee who performs them. The month-end close checklist should be approved by another member of management or Board member outside of the accounting function. Furthermore, to ensure procedures are completed on a timely basis, there should be a close deadline of 7 to 10 days after each month-end. Update and record all fixed asset activity for the month; including a review of repair and maintenance accounts to determine if certain expenses should be capitalized. Obtain investment statements on a monthly basis; review and record all investment activity. The recorded activity should also be reconciled monthly to the statements record of year-to-date activity. Perform a reconciliation of all Development Department revenue and receivable records with accounting records, and adjust the accounting records as needed. In conjunction with a Development Department reconciliation, maintain and update a schedule of temporarily restricted net assets. Ensure that all inter-fund transactions are reconciled. Monthly bank reconciliation, including the investigation and resolution to any unusual or old reconciling items. A review of miscellaneous revenue and expense accounts for items that should be reclassified to more specific accounts. Review, reconcile and adjust the various accrued liabilities accounts. Ensure preparation and a review of the monthly Board and committee minutes for transactions that could have an effect on the financial statements. A review of the journal entries made during the month on an individual journal entry basis. Also review a Year-to-Date General Ledger and ensure that all entries in the most recent months are consistent and proper in the context of prior months/years recording. This review process is important for the accounting function to perform, but especially important for another member of management or Board member outside of the accounting function as an additional layer of review. A brainstorming or wrap-up session regarding potentially unrecorded transactions, accounting issues or potential improvements. Review of subsequent to year-end activity to verify it is captured in the correct accounting period. Review of all liability accounts or absence of accrual accounts to verify liabilities are adjusted to actual. In addition to developing a month-end close checklist and a process to review and approve those procedures on a timely basis, your Organization should consider other operational changes that could have an effect on the effectiveness of the accounting function. Consider the cost vs. benefit of budgeting functions. Budgeting is an important aspect of any organization; however, the cost of budgeting can be time consuming for employees. The benefits of budgeting can be greatly reduced if inputs are not accurate or delivered on a timely basis, or if outputs are not defined or fully utilized in making decisions. Consider cross-training other employees in the Organization to take on day-to-day roles in the accounting function, which will reduce key accounting personnel workloads and add layers of separation of duties. Assess the key accounting personnel’s roles for any unnecessary tasks and consider reducing roles to only aspects that are necessary or value added. In the final installment of our 5 part series, we will discuss board members’ fiduciary and governance responsibilities. In the meantime, if you have any questions feel free to contact your Zinner audit professional.